When I was about 5 years old, maybe younger or slightly older, I remember watching a cartoon about a mongoose, Rikki-Tikki-Tavi. He befriended a British family after they moved into a house next to the garden he visited. He became close enough to them that he fought against his mortal enemies, Nag and Nagaina, a cobra couple. I distinctly remember Rikki’s red eyes, fast moves, and gutsiness. I remember how my heart pounded as I watched Rikki in battle. I couldn’t help but admire an animal that didn’t fear poisonous snakes. Fast forward almost four decades. I recently read Rudyard Kipling’s story to M. She’s into chapter books now so an illustrated version of the classic short story was a good bedtime option. I told her how I had seen a cartoon of the story when I was around her age. She asked me if I was scared. I told her I was but that I believed in Rikki. Given certain challenges I have faced recently, venomous snakes have been on my mind. 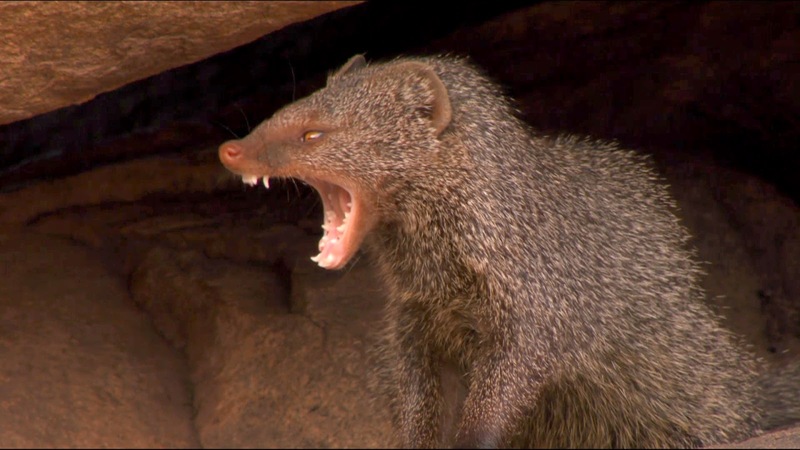 (Blog about dealing with the snakes among us)It makes sense that my longtime admiration of the mongoose would resurface. 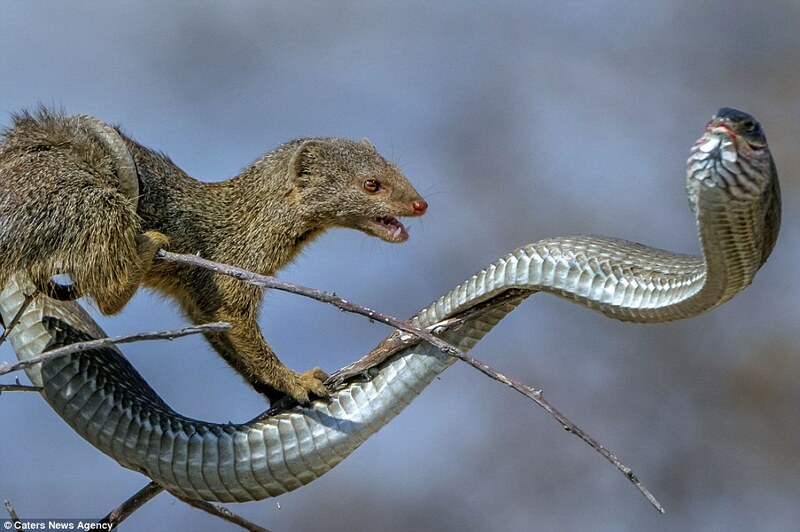 In the last two weeks, I have downloaded and shared images, read National Geographic entries, and laughed at Snoop Dogg’s unbridled support of “mongooses.” A mongoose is a bold and quick fighter. 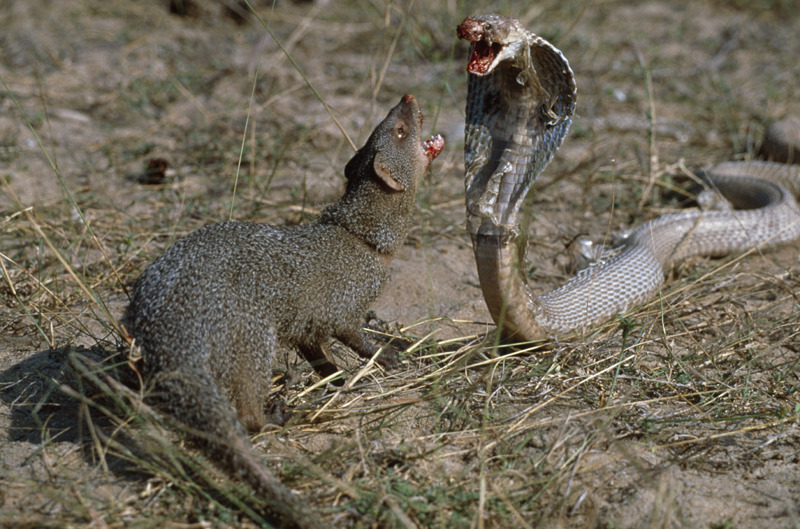 My research has revealed that the mongoose’s nerve receptors have mutated so that a mongoose is immune to snake venom. It is undeterred by cobras, crocodiles, even lions. It embodies guts, cojones, ganas. As someone who tends to choose flight over fight, I admire an animal that fights with all its sleek little body has. I can admit I fear intimidating foes. I may be able to stare into cold eyes but my heart is pounding. I’m waiting on those awful fangs. In confrontation, I choose to talk and usually(sometimes to my own chagrin)politely. I do stand firm. I may be cowering within but I won’t backpedal, waver, or cry, at least not in that moment of facing off against an opponent. I may not strike like a mongoose; maybe it’s not in my nature to fight like one. I still believe in Rikki. 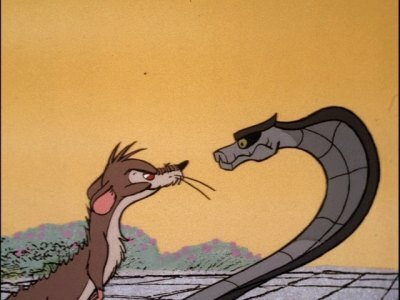 I still believe we all have the capacity to fight and win against a cobra.